Haryana: Goldfields Institute of Medical Sciences and Research, Ballabgarh has failed to get recognition from MCI. 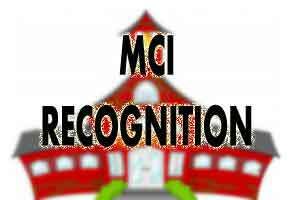 Even as the institute fails to meet the conditions set by MCI to gain recognition, future of over 400 students hangs in balance. The college students as a result have staged a protest seeking intervention of the state government into the matter. The students have also submitted a memorandum to the district authorities concerning the matter. It has been further reported that for eight months the college has not been holding classes. In a recent meeting with the Ballabgarh SDM, a management representative of the college has implied during the discussions that the college is staring at a complete financial breakdown, hence its inability to run the college. The crisis stuck college in 2014, after its inception in 2010-11, when the MCI withdrew its recognition over the issue of inadequate infrastructure and staff. As a result, the college has to face a ban on fresh admissions in the past two years, as implied by Aujender Singh, a parent. As reported by Tribune, blaming gross mismanagement on part of the authorities concerned, PK Gupta, a parent, said the future of hundreds of students who got admission in the MBBS course was in the dark. Claiming that while the issue had been taken up with the office of the Vice Chancellor, Pt BD Sharma University of Health Sciences, Rohtak, he said nothing concrete had been done so far. Jagdish Sharma, a parent, said while 90 per cent of the faculty had resigned or left, the rest of the teachers and staff were busy in protesting, causing inconvenience to both students and parents. He said the college management had not paid the staff for a year. The college collected several crores as annual fee and other charges in advance last year, but failed to ensure classes, making the students suffer, it is claimed. While no college official was available for a comment, Deputy Commissioner Chander Shekhar said the issue was being brought to the notice of the state government.